It might sound very simple but there are many benefits of expressing gratitude. The sole act of saying thanks releases you from the chains of your ego and that exact freedom is what mindfulness tries to aim for. By showing your thankfulness you can help others feel good about themselves and their efforts. In return it also makes you feel positive and happy. Since our feet and palms contain many acupressure and acupuncture points, it is advisable to massage them to get rid of aches and pains. It relieves the body of its tension and is also good for our mental health. This helps you connect with your body and silence the mind chatter, all while helping the energy of your body flow more smoothly. Being able to discern our surroundings helps us to get out of ourselves. It makes us feel connected with the environment, the people, and life in general. Take 5 minutes of your day to simply observe your surroundings. Just observe. Do not judge, do not try to solve anything, do not observe with a purpose. Observe for the sake of it. Breathing deeply can lead to a reduction in stress, blood pressure, and anxiety levels. It ensures healthy blood circulation throughout the body which relaxes our muscles. This, in turn, helps in transmitting a feeling of well-being. It also helps in detoxifying the body of harmful toxins with proper oxygen being supplied to every single cell. This sole practice will give you a feeling of aware freshness. Life on Earth is a life of duality, light and dark, good and bad, yin and yang. In this world of duality, we learn our greatest lessons. This is the very purpose why we came here for – to overcome the obstacles necessary to make us grow and become whole again. Essentially, we must encounter different kinds of people who bring along with them the lessons we need to learn at a particular time. It’s as if we’re playing a video game. The more we play it, the more we get better at it. Among others, empaths and intuitive are the ones who easily get affected by the lower energies. Yet, we all attract, receive and absorb the lower energies from people and our environment. Going through these experiences is part of the game of expanding our souls, energy, and consciousness. – Getting dropped calls, or sudden, passing static on your phone while speaking to someone at a location where you don’t normally get such experience. – Feeling depressed when there’s no reason to be. – Unable to log into your bank account (or other online accounts) and get error messages even if your internet connection is stable. – Feeling severely tired all of a sudden and have the desire to take a nap even though you’re not deprived of sleep. – Resisting to help yourself to the point of not giving yourself food even though you know you’re actually hungry. 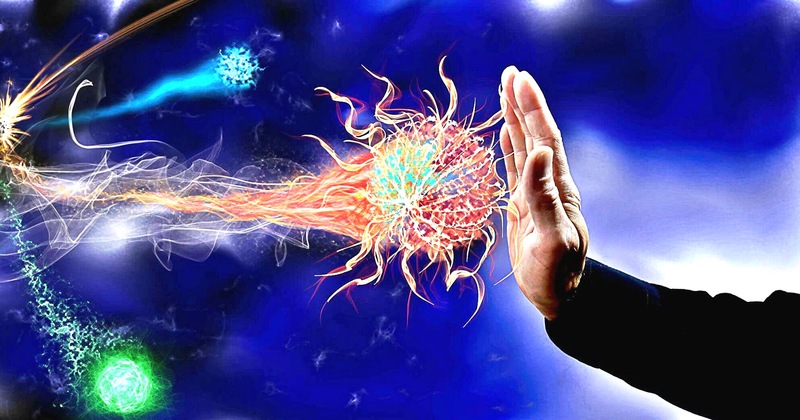 – Having sore throat as if you’ve caught a flu virus (Sometimes our body reacts to lower energy this way). – Losing your house keys or wallet, or locking your car keys inside the car, or having something you value stolen. – Having the email you sent failed at reaching the intended recipient. – Having your mind spinning on negative thoughts about someone or a situation that occurred in the past, though you’ve already done the inner work of clearing it. You’ve done everything to wave them off, yet they stick the more. – Engaging in behaviors that go against loving yourself like spending money on unnecessary items, even though you don’t have the budget intended for it. These are just a few examples. The list could go on. It’s up to you to recognize them when they do occur. Just manage yourself to tune into your awareness to make these things clearer to you. Once you start to recognize these lower energies, it is your right to clear your energy field of these lower vibrations. 1. Setting a strong intention in clearing these energies. Place both of your hands on your heart and say your intentions loudly. In addition to voicing it out, writing it on a piece of paper and burning it after can help greatly. Repeat your intentions a few times. Using your voice for clearing and protection strengthens your throat chakra. 2. Yawning away the negative energy. A great tool for clearing is yawning. Set your intention mentally and start doing the yawning motion as if you’re very tired and need to take a nap. Even if you don’t feel like yawning, the motion will continue once you started. Do it also when you feel the resistance to use your voice on calling on your power and divine help. 3. Playing drums or drum music in the background. If you don’t have a drum at home, you may either play Youtube videos of shamanic, African or Native American drum music as a background while applying the techniques mentioned above; or use a wooden desk or table and start drumming with your hands. Drumming is really powerful in raising your vibration! 4. Using a smudge stick. In this clearing technique, White Sage is the best herb to use. But you may also use dried Rosemary, Cedar, Mugwort and Sweetgrass. Light the smudge stick, when you have a good flame, blow it out and use the smoke. Start with your body by circling all seven of your chakras and your outer energy field including the bottom of your feet. As you go through each chakra, pull your arm away from that area as if you’re pulling a scarf off your neck with one hand. While smudging your body, take the necessary precautions against dropping hot embers as you go. Use the power of your intention and continue the smoldering as you go around the room or even the entire house, including all the corners and under furniture. Open one or several windows for the smell and the lower energies to leave the space commanding them out mentally or verbally. If you have money issues, you may clear it as well by clearing your purse or wallet. If your computer is getting bounced email messages, clear that one too. Smudge the negative energy out of everything! 5. Saying a clearing and protection prayer or mantra. Repeat this several times and say it out loud. You can also place your right hand over your throat gently to feel the vibration as you say this prayer. 6. Using a rattle to break up the energy into a zillion small pieces. If you don’t have a rattle, you can use pennies. Put them in an empty plastic drink bottle or Tupperware and start shaking it. While doing this, move around your space to get best results. 7. Burning lemon or orange peels. Cook the peels on a non-stick pan. Use the pleasant smell to fill up your space and repel lower energies that are lurking in it. Laughter is the best medicine as well as very effective in clearing lower energy too. If you don’t feel like laughing, search for funny videos on Youtube and start having fun. You may use one or more candle. Light it up, with the intention that the flame absorbs and melts away the lower energies, and let it burn all the way. Then throw it in the garbage or bury it somewhere in your yard. Sprinkle some sea salt into the water, mix well, and drink it. You can also draw a hot bath by putting few tablespoons in the tub to soak in. Then set the intention that the water will pull away from the negative energy as it goes over your body, into the drain, and back to mother earth to be cleared. 11. Creating an ‘attractor’ for lower energies. Pour a glass of water and set the intention that lower energies in your field will be absorbed by this water. Keep the glass filled with water until your energy feels clear and free. Then flush the water in the toilet, or pour it out into the yard for the lower energy to be transformed back into love by mother earth. 12. Skipping like a child. Counter the depressive or angry thoughts by skipping like a child for a minute or longer. Do this also to shake off bad dreams or when you wake up feeling grumpy. I know you might not feel like doing that, but trick your energy into raising the vibration you radiate! Walk around your space clapping and singing a fun tune, a joyful song or whistling. This will raise your vibration and repel negative energies. Shove the negative mood away or the lower energies that are attached to you by dancing it off with your favorite dance music. This will significantly improve your mood and raise your vibrations! 15. Engaging with the protection prayer (#5) regularly. Repeat the prayer in the morning, at night, or in between. You can also write it and keep it in your wallet or the dashboard of your car, or write it in the back of your happy photograph. 16. Using pine for protection. Once you’ve done the clearing methods above, cut off a small piece of pine needle branch and put it in a vase or a glass of water. Set the intention that the pine needles repel and intimidate these lower energies so they don’t come back. If you keep it around for a while, replenish the water every other day. 17. Watching your words, actions, and karma. When you have a bad day and cannot avoid feeling upset, be aware of the negativities in your thoughts. Sending out negative energy to others will open up your lower energy, making it come back to you. Ask your higher self to make you aware at these times so you’d be able to pull yourself off. Use laughter instead to clear them away. 18. Finding ways to counter stress. Stress is part of our daily grind. But when you fail to give it enough attention, it will lead you to be susceptible to discordant, lower energies. Eliminate it by providing time for rest, relaxation, a healthy diet, and laughter. Even 5 minutes a day will do. 19. Making eight-figure movements for aura strengthening. Strengthen your aura with these movements. Rotate around as you move both arms in a figure eight motion as if you’re an orchestra conductor. Start from the ground going up as you keep rotating and go back down towards the floor making sure you cover all four directions. Find a tree in your local park or on a walking trail and make it yours. Lean against that tree for at least 15 minutes and ask it to pull out anything in your energy field and body that vibrates less than love. Try it. It works! Negative energy is a normal part of life and not something to always avoid. Always running from negative energy in order to keep your positivity will make you miss the point of living. It’s like always avoiding to get dirt on your clean shirt, you miss the point of having fun. And whenever you get dirty, just take a bath. The main trick of clearing negative energy is in raising your vibration in whatever way that works best for you, all while washing the dirty energy away. Sometimes tricking yourself into getting higher vibrations can work too because as you get high vibrations the negative energy will go away. Negative energy cannot stay in high vibration environment! Learning how to steer yourself whenever you notice that negative energy has stained your energy field is a powerful skill we all need to master. That’s how we can significantly accelerate raising our consciousness and evolve as humans. Many people mistake detachment or non-clinging to be a form of aloofness or emotional disconnect from others. 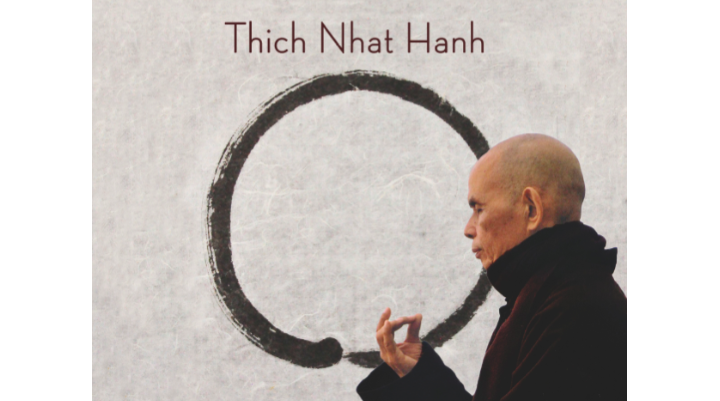 Thich Nhat Hanh, the Zen Buddhist master, has some interesting advice about what it means to truly let go. 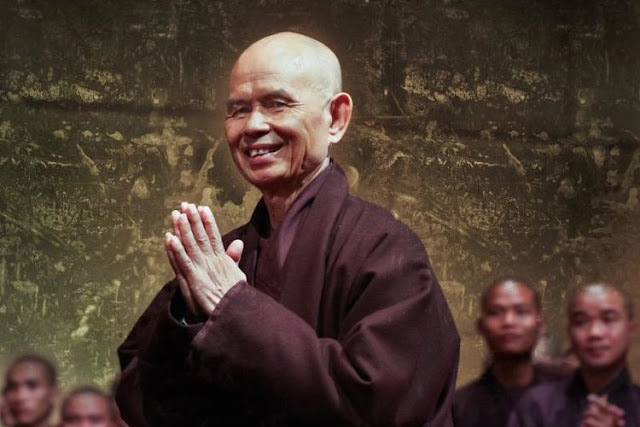 Many people mistake detachment or non-clinging to be a form of aloofness or emotional disconnect from others, but as Hanh explains, truly letting go often means loving someone more than you have ever loved them before. These type of misinterpretations are sadly common, since there are not always direct translations from the Pali language into English. In truly letting go you practice gratitude. Mudita, or joy arises when we are overcome with gratitude for all that we have, such that we no longer cling to some other longed-for result. TheBuddha’s definition of joy is more like “Unselfish joy.” It means that we don’t only find happiness when something good happens to us, but when others find happiness. Hanh explains that without this quality our love tends to become possessive – a stomping ground of the ego. We try to put our beloved in our pocket and carry them with us, when they are more like the wind, or a butterfly, or a stream, needing to move and flow, or risk dying. This is not loved, this is destruction.